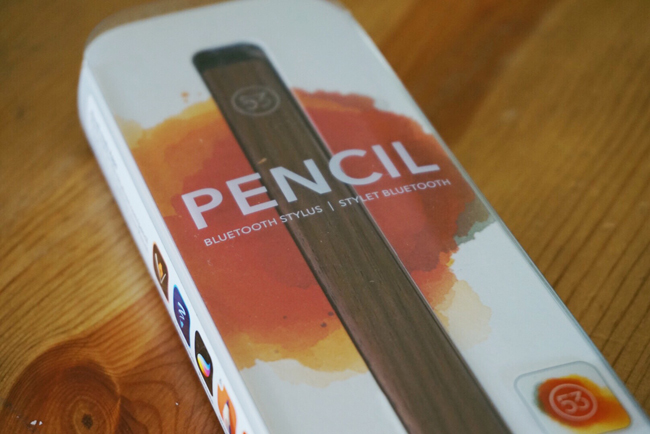 Pencil is a stylus product by FiftyThree, a company that started out by releasing the “Paper by FiftyThree” app for iPads. There’s no doubt, even by Apple’s own recent “Pencil” release, that styli are a valuable addition to a tablet, particularly for sketching/drawing/illustrating. 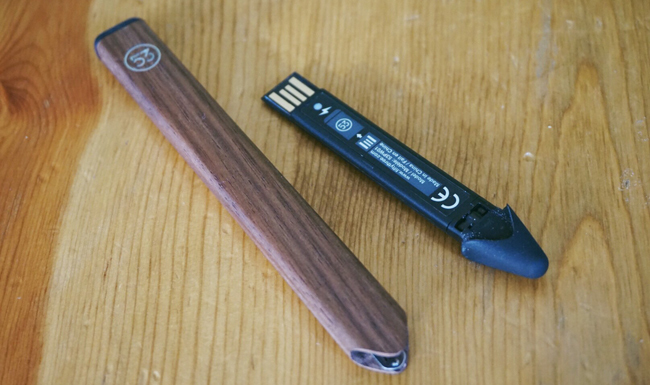 Pencil connects to your tablet in two ways: bluetooth and direct touch on your captive screen. Three models of Pencil are available from FiftyThree: Graphite, Gold and Walnut. I got the Walnut model to test. 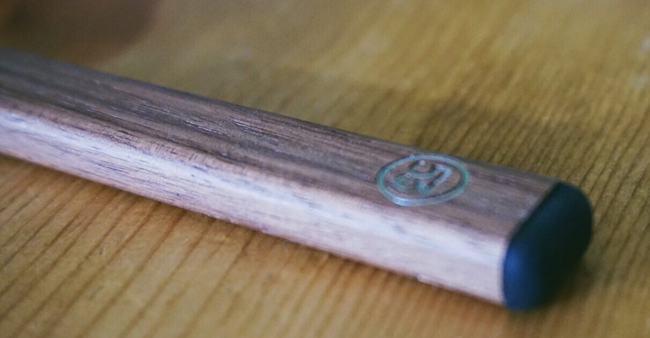 The Walnut model is the most unique, as it’s actually made from carved wood (the other models are aluminum), plus it includes an in-body magnet that holds the stylus to your iPad’s magnetic Smart Cover. The Walnut and Gold models retail for $60 and the Graphite model for $50. I tested the Pencil with several apps, including Adobe Sketchbook, Draw, and FiftyThree’s own Paper, and it’s a fine stylus. 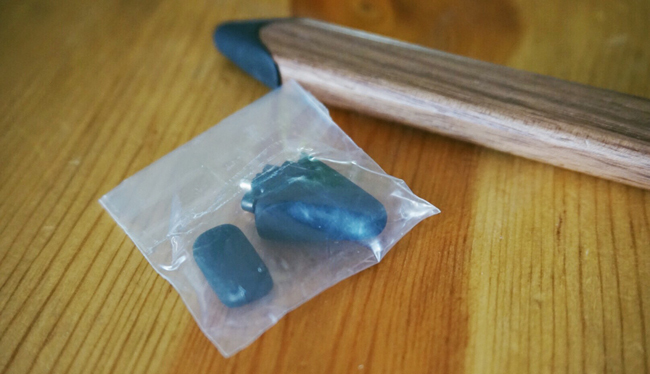 It has the typical “squishy” tip, at both the writing and erasing end, though because of the flattened design of the stylus, reminiscent of workbench pencils, the squishyness isn’t as pronounced as others I’ve used in the past. The eraser is a unique feature and works perfectly with Paper – just pair the Pencil and flip the stylus over, and it erases. Makes perfect sense. Because Pencil is a bluetooth device, it’s rechargeable through USB – just grab the stylus tip and pull, then charge the innards through USB. I’ve found the Pencil is fully charged in a matter of minutes, and the charge lasts for weeks. The only thing that has annoyed me about Pencil is the fit of the rechargeable tip with the body never really feels flush – I feel like I’m always trying to seat it better into the stylus (see the picture above), though it’s functionality is always spot-on. Pencil also includes a single replacement stylus tip and eraser head – which is definitely a value-add to the package. Replacement sets are $8 from FiftyThree and include 2 stylus tips and 1 eraser. I have little doubt that Pencil by FiftyThree is the best iPad stylus you can buy at this point. It works very well, and for sketching and illustrating on iPad, a stylus is a necessity. Though Apple has released it’s own “Pencil” stylus at this point, it only works with the iPad Pro. This Pencil is compatible with most iPads, even iPhones, and that gives it a definite advantage for the time being. This entry was posted by admin in electronics, reviews and tagged 53 pencil, 53 pencil review, best ipad stylus, ipad stylus, ipad stylus review, pencil 53, pencil by 53, pencil by 53 review, pencil by fiftythree, pencil review on January 11, 2016 .